Basu pleaded guilty on Dec. 17, 2002 to conspiring to commit wire fraud in violation of 18 U.S.C. §371 and to violating the Foreign Corrupt Practices Act, 15 U.S.C. §78dd-3. Under his 2002 plea agreement he cooperated with U.S. authorities. In 2006, however, he moved unsuccessfully to withdraw his guilty plea. During his cooperation, he admitted that between 1997 and 2000, as a World Bank Trust Funds Manager, he conspired with a Swedish consultant and others to steer World Bank contracts in Ethiopia and Kenya to certain Swedish companies in exchange for kickbacks amounting to $127,000. He also helped the Swedish consultants bribe a Kenyan government official by, among other things, arranging for $50,000 to be wire transferred to an account outside the United States for the benefit of the Kenyan official. In September 1997, Basu left his job at the World Bank and joined the Swedish consulting firm. He also arranged jobs there for his father, brother-in-law, and a close friend. He took a commission of ten percent of the value of all contracts he worked on for the Swedish consultant. In December 1997, Basu returned to the World Bank but continued to receive commissions from the Swedish consultant. By January 1998, the consultant had been awarded three contracts by Basu's co-conspirator, Gautam Sengupta, a World Bank Task Manager. Sengupta, also an Indian national and U.S. permanent resident, pleaded guilty in February 2002 to the same charges as Basu. He was sentenced in February 2006 to two months in prison and fined $6,000. U.S. v. Sengupta, (Cr. No. 02-40) D.D.C., January 2002. Separately, the Swedish consultants were prosecuted and convicted of bribery by a court in Sweden. In February 2004, they were sentenced to 18 months and 12 months in prison respectively . The Sengupta and Basu cases were the first criminal referrals to national prosecutors from the World Bank (or apparently from any international financial institution). 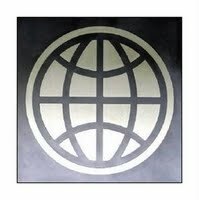 The plea agreements with the DOJ required the defendants to cooperate with the World Bank's investigation and with Swedish and Kenyan authorities, as well as the DOJ. The plea agreements said: The defendant agrees to disclose completely and truthfully all information regarding his activities and those of others in all matters about which he has knowledge or hereafter acquires knowledge concerning any matter about which the United States, The World Bank, or the Government[s] of Sweden [or Kenya] may inquire. Defendant agrees to accompany agents of the United States, The World Bank, or the Government[s] of Sweden [or Kenya] to any location in order to accomplish that purpose ... Defendant agrees to answer all questions completely and truthfully and must not withhold any information. Despite his initial cooperation with prosecutors, Basu tried four years later in 2006 to withdraw his guilty plea. The court wouldn't allow it. We don't know why he wanted to withdraw his plea -- after he had already provided evidence about the corruption -- or if his change of heart influenced the court's decision in his sentencing. View the DOJ's April 25, 2008 news release here.